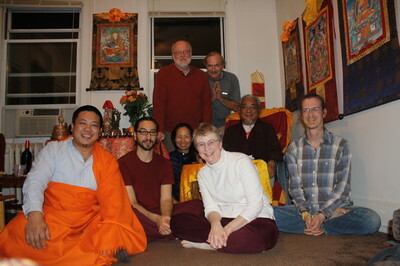 Kyabje Lhö Ontul Rinpoche conferred the extensive Yangzab Shitro empowerment in Maryland in 1998, and several Pittsburgh-area students attended. A few committed to the Yangzab practices at that time, and subsequently Three Rivers Dharma Center invited Rinpoche to teach in the city on several occasions. 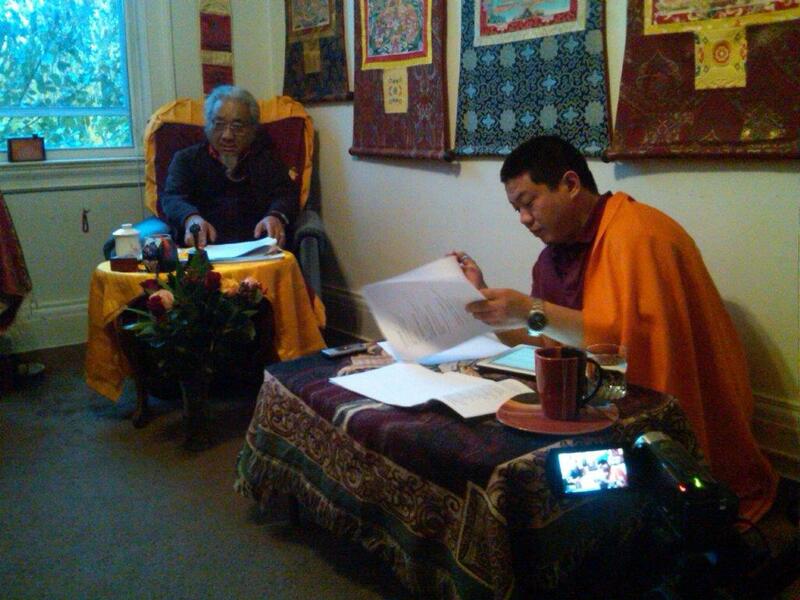 In particular, Ontul Rinpoche gave teachings on the nature of reality in 2002. Following these teachings, a practice group formed under the leadership of a local couple. We have met regularly in members' homes since the mid-2000s to engage in the Dharma practices of the Yangzab terma and of the 19th century Drikung Kagyu master Rigdzin Nuden Dorje. Lho Ontul Rinpoche and his son, Karma Ratna Rinpoche, return to teach us at regular intervals when they tour North America. We welcome inquiries from those who may have an interest in practicing Vajrayana Buddhism with a Dzogchen perspective.